Hello everyone! Once again I have another 3D tutorial, and in this tutorial, we will be modeling a Christmas ornament (yes, I know, 'tis not the season, but I'm making this one available upon request). The main focus in this tutorial is to demonstrate some basic and perhaps not so well known but very useful methods of 3D modeling within Blender. This tutorial is done in Blender 2.49. 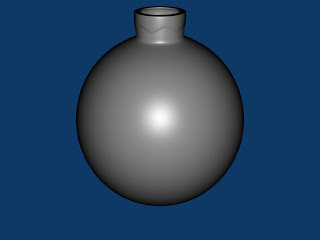 Later on we will be using this same model to do tutorials on applying materials and then doing composite renders. I enjoy doing these tutorials and I hope that you enjoy watching them and learning something new.